When I say Jimi Hendrix? Whats the first thing that pops into your mind? I, myself, think things like – guitar hero, legend, how would he sound today, guitar playing with his teeth, “All Along The Watchtower” a song he made his (sorry Mr Bob Dylan) to name but a few things I thought about! That´s not the only thing I think about when someone mentions his name – i immediately start to hum for myself “Hey Joe” or “Little Wing”. His ballads – because it has to be said, I have a weak spot for his ballads, if they can be called that. His slower songs maybe? No, I call them ballads even if they are not like contemporary ballads with acoustic instruments and sitting-by-the-fireplace-on-the-beach-with-friends-and-sing-along-all-night songs! With enormous energy. His rock songs he could make his guitar sound like a machine-gun (see: “Machine Gun”), he could make his guitar speak (see “Still Raining, Still Dreaming”), he could make his guitar sound like a train (See: “Third Stone From The Sun”. There was no limits to what Jimi Hendrix could do with his six stringed friend (which was a right-handed guitar, but he played left-handed). He could played rock and hard rock, he played psychedelic tracks, and he played jazz and the blues. Jimi could and did play both the rhythm guitar parts of his songs + all the guitar solos – without no one even noticing and thinking about that all guitar sounds on the song were made by the same guitar player. Like I said earlier, there was no limitations! Jimi Hendrix ballads, because he was (also) a fantastic performer when he slowed down a bit. When he dared sit down (at least that what it sounds like he did) and really feel the songs. When Jimi played ballads his voice became more focused, he sounded relaxed, he showed his smooth(er) side – he dared show his soul – his blues. Even in his ballads, Jimi Hendrix and his band had this restless thing, that makes his ballads more jazzy and funky than your average ballad. With a drummer, Mitch Mitchell, that played as funky as James Browns drummer, Clyde Stubblefield, at times – and with bass and guitars that sounds like they want to speed things up and really wants just to party hard(er). But still they manage to tie the knot together and make some of the best songs ever written and played by a Guitar God and his band. 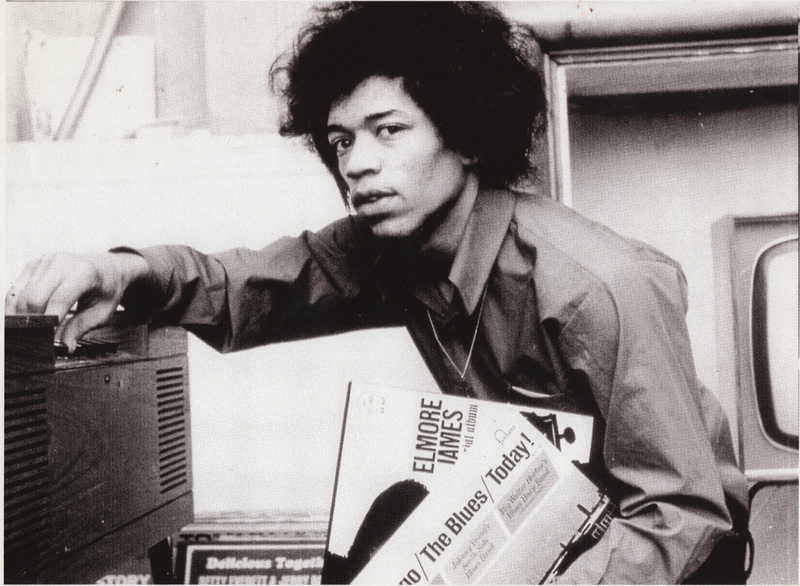 I have lost count how many times I have done searches in record-stores (back in the days when we went there to find music – these days they sell more movies and games than music) for an album that collects all Jimi Hendrix ballads. When we got internet i´d done numerous searches from time to tome through the years – to see if anyone have released a record with Jimi Hendrix best ballads. But I have to say; without any luck. I repeat; No one has never ever released an album with all of Jimi Hendrix best ballads. No record company, no playlist. (Take note Jimi Hendrix estate!). It could have been done easily – if someone with a CD-burner (are some one still using these?) and some good photoediting/design skills and a good copy machine – to make their own “Jimi Hendrix – The Ballads” compilation with CD-cover et all. That would have been bootlegging or piracy and not to forget an unofficial record. That´s something I don’t support! I would love to have an original CD or LP with Jimi Hendrix ballads. A albums that had been compiled and approved by his estate and record company! Some of you might guessed the title of the album by the header of this blogpost? About this homemade album; When I did compile this mixtape I first concentrated on the official Jimi Hendrix albums, the albums he gave out before his all to early death in 1970, then I sorted out the best slow jams from his posthumous albums. Jimi Hendrix gave out the following albums during his lifetime; “Are Your Experienced?” 1967, “Axis: Bold As Love” 1967, “Electric Ladyland” 1968 and a greatest hits album (with the singles he had released so far) “Smash Hits” was released 1968 (before “Electric Ladyland” was released). His first posthumous album was called “Cry Of Love” and was released just in short time after his death. Jimi also become only 27 y.o., like his music colleagues( starting with the letter J) from the same time, Janis Joplin and Jim Morrison to mention a few). 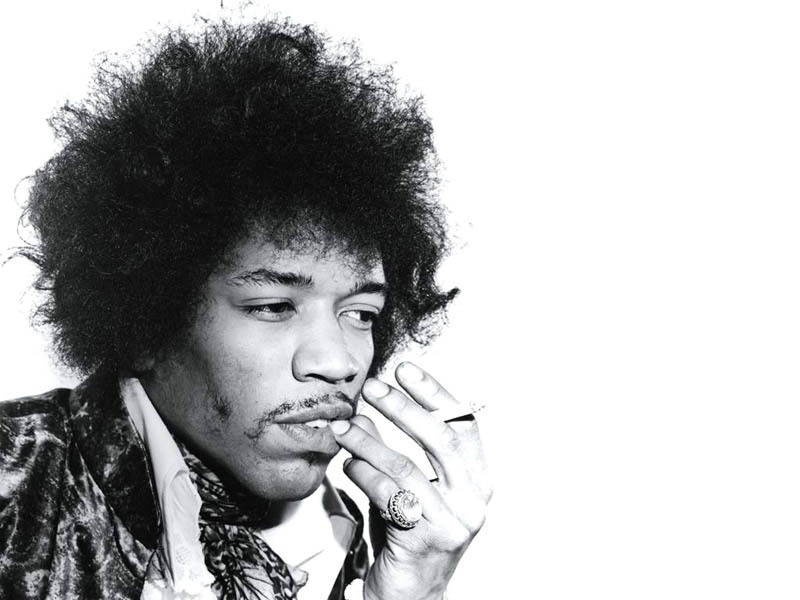 Jimi Hendrix was said to be killed in his sleep by a mix of 9 sleeping pills and some wine. 21 Jimi Hendrix ballads that goes from short instrumental intro, to only acoustic guitar, a little trip into the blues and soul of Jimi Hendrix, A few instrumentals, A great amount of songs using the weather as metaphors, great songs about (lost) love and a couple of acoustic/unreleased tracks. The track list goes as follows, in order from eldest to newest albums. Listen to the whole compilation of Jimi Hendrix “The Ballad(s) of Jimi Hendrix here! Do you know or miss any Jimi Hendrix slow jams in the playlist? Which Jimi Hendrix track is your personal favorite? 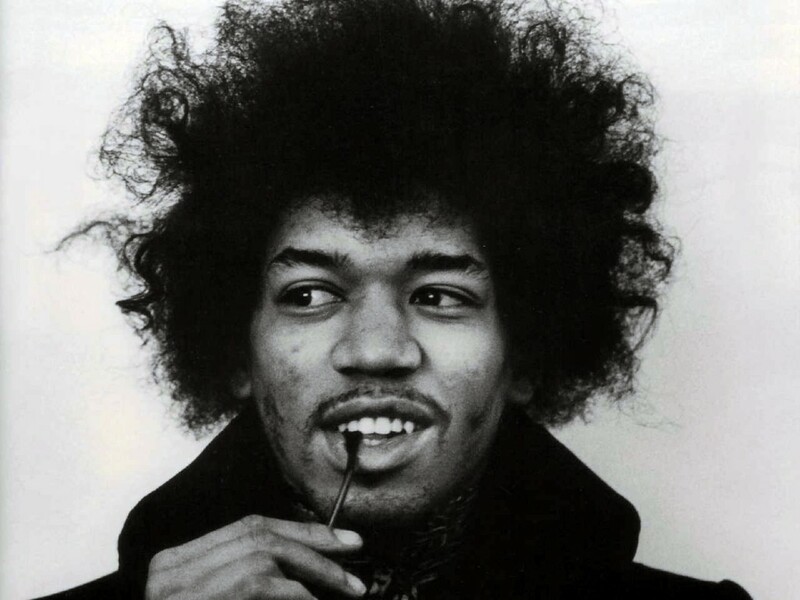 Great post, I have lots of love for Hendrix and his style of music. You know, think about it – No one has never ever released a ballad album of his greatest songs, as the blogpost says! It should be at least one out there, so i had to create one (fictive) myself! Castles made of sand is my favorite Hendrix song by far. Thanks for giving some love to some of his lesser known stuff! Thank you for you reply and thank you for liking my blog post about the guitar legend! Love the music. Makes me wonder what if he had lived today? Have a happy new year Melissa! Love Jimi Hendrix. I wish I had been a little older when he was around. Thanks for posting this. He will always remain one of the greats. Its always refreshing listening to Jimi. A legend! Love the post. I always thought Jimi ballads never got their due. People always speak about Jimi and his rock tunes, so i felt it was on time to do a blogpost about his “other side” the softer and more mellow. If you use Spotify to stream music hope you have listended to my playlist. Really enjoyed this post, I am a great fan of Hendrix, and still consider him to be the greatest guitar player of all time. I agree with you that people should pay more attention to more laid back songs, they’re often the ones with the greatest soul and meaning, and especially in Jimi Hendrix’s case! What a great reply to get on a friday evening! It would be fun if you’d like to make a cover for my compilation. I’ve also been thinking about burning the songs on a CD and give it away or have a competition on the blog where i give it away to one or some winners. But i am not sure if its allowed – since i’m not the author of the music. But guess it legal since i’m not earning or taking paid for it!? “Hey Joe” and “Wind Cries Mary.” But….I’m not familiar with most of the others listed, or at least not by the titles. You know some songs you hear over and over and never really catch the name! I’m sure my husband has all of them on albums here somewhere and he’d just love to drag them out and play them all for me! That seems like a good man – with good taste for music! I´ll guess he play them for you so show his love to you! Ahh, you sound like a romantic! Thanks for doing this. I heard a slow jimi tune the other day that I had never heard before and didn’t get the name. It took me two minutes to find it here. I might never have found it!! Thanks! How great you´ve found out through my blogpost. Great it could help you! …What song was it btw? He left an amazing legacy, didn’t he? Amazing lagacy – if you own his 4-5 original albums (before his to early death) you got an amazin´ collection of rock classics from the legend! You can’t just say Jimi played a right handed guitar left handed because many people play this way. It’s important to mention that he flipped the strings around to the normal left handed positions. I once heard an interview with Bill Graham talking about Jimi. One show he came out with his guitar blazing, and over the top for most of the audience. Before the second set set Bill took him aside and told him to mellow out and slow it down. Jimi took the advice to heart, and Graham said that it was the best set Jimi had ever performed in his life. I believe this anecdote follows the theme of your excellent blog, and I wish I had more info on the show and the interview with Graham, but I’m sure anyone with mad google skills can track it down. I totally agree about Jimi’s slower stuff. My personal favorite (which you included): Here my train a comin’ – acoustic. Raw talent you do not hear these days. Period. I know a legend – then, now – and forever!